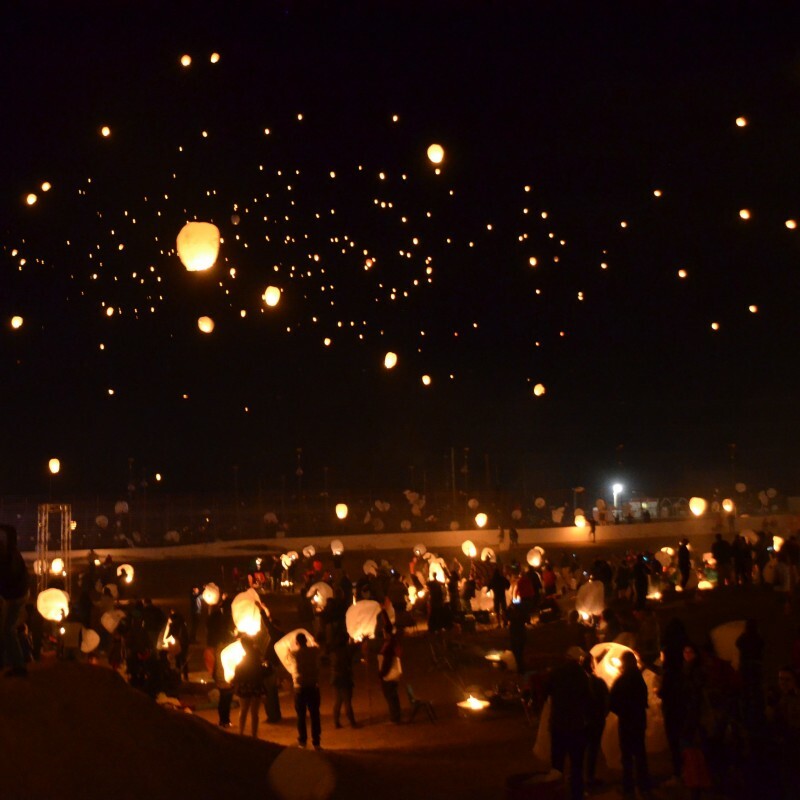 The Lantern Fest is an opportunity for thousands of revelers to join as a community and create an unforgettable spectacle of light. 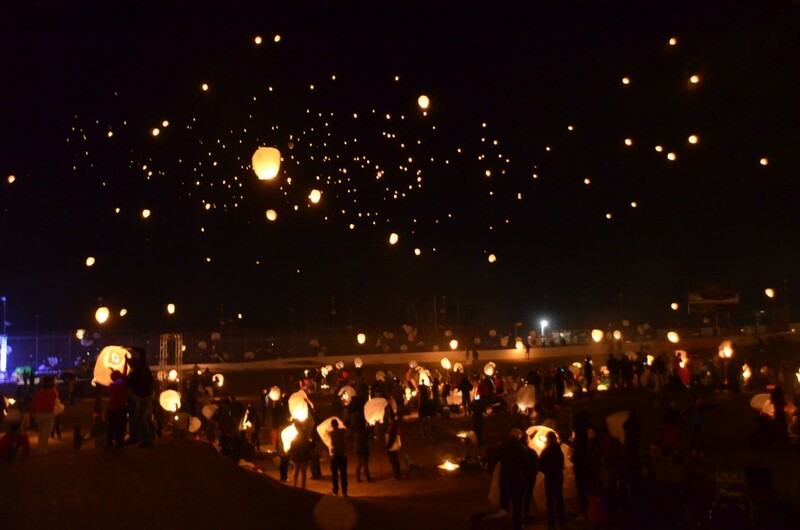 After an afternoon of live music, dancing, and s’mores, when the sun sets and the time is just right (typically 30 minutes after sunset), participants will light the sky with lanterns representing their highest hopes, deepest regrets, and fondest dreams. Be sure to arrive early enough to park, check-in, and find a place to enjoy the event. 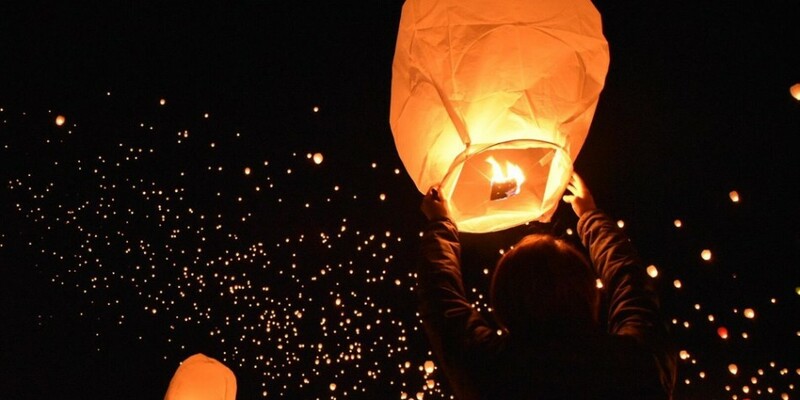 Lantern release is approximately 30 minutes after sunset. Be sure to register in advance for the early bird pricing. Extra lanterns are $10 each. All ages are welcome. With the number of open flames present at the venue, and especially as the darkness falls, please keep a close eye on any children. Kids between ages 4 and 12 are $7 each and do not receive a lantern, and children below 3 are free. 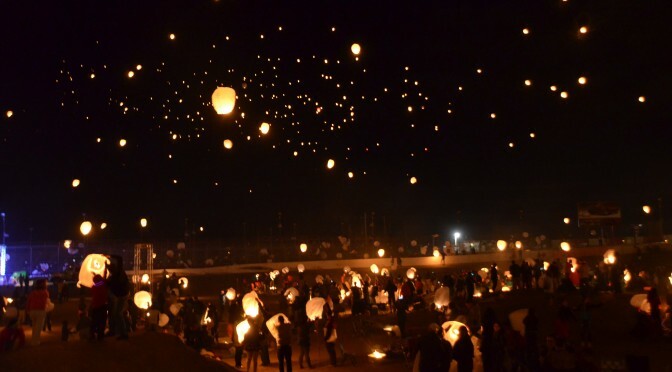 You need to be 13 or older to light a lantern. * Water and small snacks are permitted inside the venue. There will be plenty of concessions to buy food and drinks. * A blanket or chairs for sitting. * Dress for the weather.